Congratulations to Alexis Williams ’19, Whitfield's 2018-2019 Skippy Keefer Participation & Sportsmanship Award nominee. 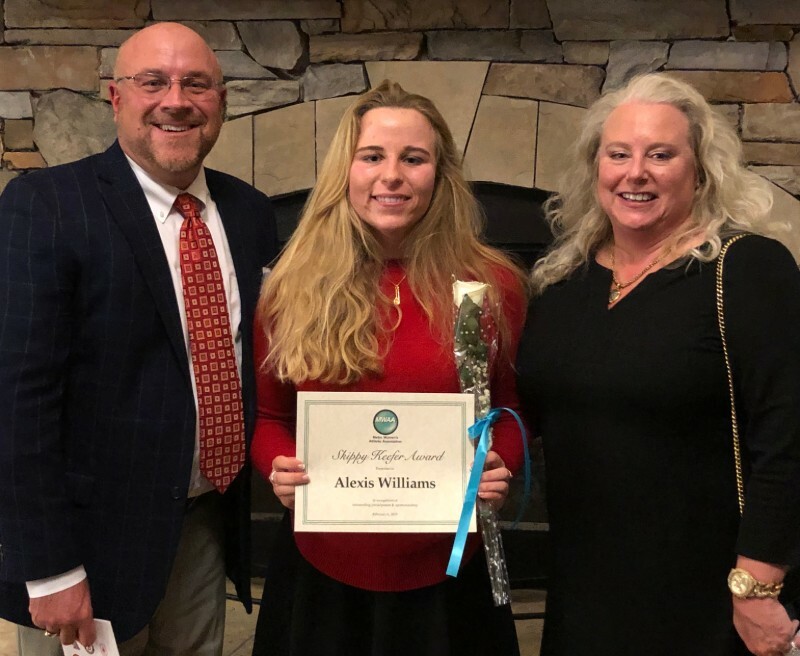 Alexis and her fellow nominees were honored at a dinner on February 6, 2019 at Tapawingo National Golf Club. The Skippy Keefer Award, named in honor of Skippy Keefer, longtime athletic director at John Burroughs School and one of the founders of the Metro Women's Athletic Association (MWAA), is given annually to a senior female athlete within the MWAA league who exemplifies the qualities of athletic participation and excellence in sportsmanship. While at Whitfield, Alexis has participated in field hockey (four years), lacrosse (four years), and basketball (three years). In the fall, Alexis will attend Hendrix College where she will play field hockey and lacrosse.